POLITICS is one helluva nasty business! You’re suddenly surrounded by groupies all trying to paint you as God’s gift to humanity, but clearly just enjoying the free food you serve after every campaign rally. Then you have your family members at one point, trying to dissuade you from pursuing your candidacy for fear of your safety and that of the family’s. But when your victory seems inevitable, they quickly entertain thoughts of which interior designer to call and measure the windows in your new office for the new drapery. You also have close friends giving you all sort of contrarian advice just to add more to your confusion on what policy measures to adopt once you are declared the winner. Of course, all these so-called buddies will probably be the first to line up and try to get appointments in your government, or at least get a business contract or two even before you’ve warmed your political seat. Politics is all about relationships: forming new ones, letting go of those that don’t work, and trying to make the most advantage of the ones still remaining —all in the pursuit of power and administering control of governments or businesses. And amid the cementing of alliances, there will also be treachery. Two major candidates in the last elections have already publicly experienced that bitter truth. The six-month exercise showed exactly who their real friends and supporters were, and who had stabbed them in the back for the backstabber’s own selfish goals. For one, you had a presidential candidate who junked his own godfather's political party which he was to inherit at some point, in favor of his President's party of thieves. Unfortunately, the presidentita's own consort supported another presidential candidate in a bid to protect their own family’s financial interests and secure their protection from possible lawsuits. Then you had a vice presidential candidate who gave his all-out support to his party’s standard-bearer, only for the latter to leave him by the wayside to his own devices. And despite the standard-bearer's own half-hearted announcements of support to his VP candidate, he declined to whip his own family members and groupies in line who supported a corrupt candidate instead. IN my own case, I’m glad the electoral exercise is over. As usual, we had to contend with the megalines, hot heads complaining about their missing names, and suffering teachers that seem to be part and parcel of every election. Thank God, the polls were generally flawless, and the results quick enough to determine clear winners, although as of this writing, the House Committee on Suffrage and Electoral Reforms is still hearing allegations of electoral fraud. But it’s understandable how many of us were simply putting our lives on the hold, declining to make major business decisions or even taking trips despite it being the summer vacation season, as we were all uneasy about the elections. I, too, had to bump off a few appointments, and my standard response to lunch/dinner invites from friends would be “after the elections na lang ha?” just to drive home the point how much the run-up to the political exercise was dominating my life. For another, I wasn’t able to sleep my usual eight-hour beauty rest because I was tethered to my Mac updating a blog aimed at informing the public with news, surveys and other data about their favorite candidates. Stress eating and lack of exercise were also taking its toll on my health, e.g., a three-month cough that wouldn’t quit until I finally managed to catch up on my sleep starting last weekend. MY own relationships with idiot relatives and some so-called friends were also getting caught up in the heat of the debates, especially since we had supported different candidates. How I wish I belonged to an entrepreneurial family where members gather and agree to support different candidates to protect their business interests. 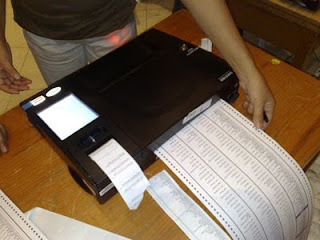 For instance, in one political/business family with interests in the banking industry during the Marcos regime but are also considered power brokers today, two brothers supported the fake impoverished presidential candidate, while their youngest brother placed his bet on the candidate whose only claim to fame is having famous parents. So no matter which presidential candidate wins the election, this family’s businesses are safe. They’ve kept their eye on the bigger prize, and the entire family won. With such an understanding, no one gets hurt if one brother airs his views favoring his own candidate over his other brother’s bet, and vice versa. Unfortunately, as I discovered in my case, some family members turned out to be users and were only loyal to whoever gave them the most funds for their campaign, instead of being grateful to the one who nurtured their careers in the first place. Yes, I hear you...that’s politics. But I simply detest such hypocrisy and their defense of the crooked politician they had attached themselves to. I now wonder if it’ll ever be safe for me to go home to my province after this. Some of the campaign issues also divided a few buddies and me and have resulted in some irreconcilable differences. I know, I know, people always say that the safest discussion is nonpolitical talk. On Facebook alone, a couple of long-time friends have been unmasked as traitors to the cause, and have thus been either deleted/blocked or walled out by my extremely high-privacy settings. (It’s silly, I know, but on Facebook, it’s much easier to detect who is being true to his word, or just giving you a whole lot of BS for the sake of friendship.) Some I caught telling me one thing privately, and seeking alliances and, right on their wall, saying exactly another. I’ve been spied at bitched at, and lied to, but then, yes, I only have myself to blame for being so vocal about my own opinions. Perhaps, when we’ve all become too busy again to care whether the President-elect takes his oath before a barangay captain or a ship captain, some of these broken fences will be mended again. Then again, maybe not.